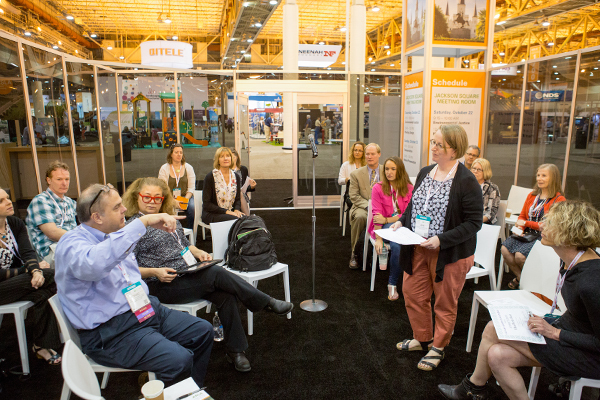 Participate in a PPN Live session – PPN meetings take place on the EXPO floor throughout the day on Saturday and Sunday, and include a variety of formats: invited speakers, fast-paced presentations, networking sessions, and more. Attend a PPN EXPO Tour – Returning this year, don’t miss out on this exciting opportunity to learn more about our exhibitors’ services and design solutions in tours led by subject matter experts around the EXPO floor. See the tour schedule here! Network with your PPN peers at the EXPO Reception featuring the PPNs on Sunday from 4:30 – 6:00 pm. It’s free to all registered annual meeting attendees, and non-PPN members are welcome to attend. Already a member of one PPN, but curious about another? Or not sure which PPN to choose (all ASLA members receive one PPN membership for free)? You are welcome to attend as many as you like! 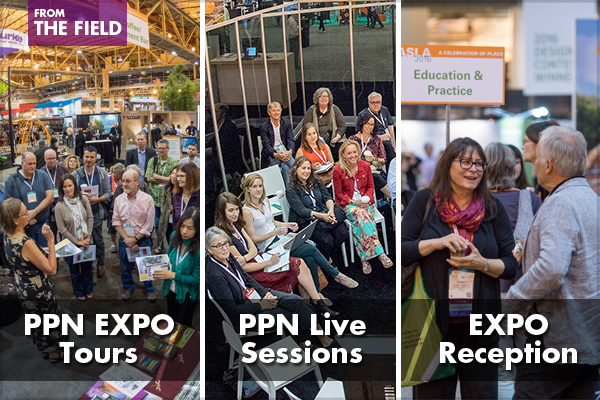 All PPN meetings take place in PPN Live on the EXPO floor, and are open to all attendees. See below for more information on what’s planned for each PPN meeting, or click the PPN name above to jump ahead to that meeting’s information. Join us for a roundtable discussion including the Ecology & Restoration PPN leadership and fellow PPN members. 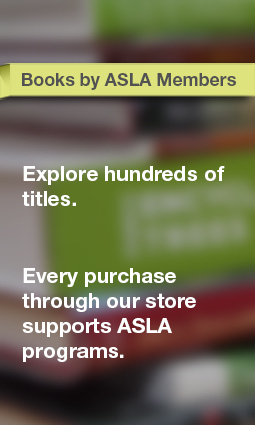 Share updates on your work, highlight your expertise, and expand your network through ASLA! Find out how you can influence the direction of ASLA and other landscape architects through the Ecology & Restoration PPN and opportunities for national exposure, including content creation for The Field and ASLA Online Learning. 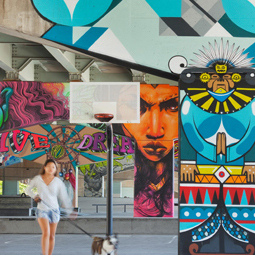 The Environmental Justice PPN will be meeting to continue the discussion from the previous day’s education session FRI-C03 – Encompassing the Diverging Views on Design and Justice with Diana Fernandez, ASLA, of Sasaki. Have an idea for an education session for the 2018 Annual Meeting? We’ll connect PPN members with each other to plan for next year in Philadelphia. Join us in the PPN Lounge to share updates on our work, highlight your expertise, and expand your network through ASLA! Find out how you can influence the direction of ASLA and other landscape architects through the Digital Technology PPN, opportunities for national exposure, including content creation for The Field and ASLA Online Learning. Join us for a round table discussion led by Jim Davis, ASLA, PPN Officer, and regional updates from fellow PPN members. 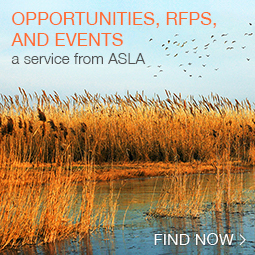 Share updates on our work, highlight your expertise, and expand your network through ASLA! Find out how you can influence the direction of ASLA and other landscape architects through the Water Conservation PPN, opportunities for national exposure, including content creation for The Field and ASLA Online Learning. Change Happens – How Are Environmental Shifts Informing Campus Planning? This year’s PPN presentations will explore how environmental shifts, whether planned or unexpected, inform decision-making on three campuses. Studies address issues of sustainability, resiliency, and transportation demand. A campus master plan nearing completion is interrupted by Hurricane Harvey. While the University is spared from natural disaster by its location along one of few unchannelized sections of Horsepen Bayou, planning discussions are recast, giving new emphasis to landscape-focused campus resiliency. The natural setting of the campus is a big part of the campus identity, but the landscape is also a critical component of campus infrastructure, as proven in this latest extreme weather event. Landscape guidelines set up a decision-making framework for stewardship of the campus landscape, prioritizing economic and public health benefits, from stormwater mitigation to urban tree canopy protection. Both aesthetic and ecological systems functions are addressed in a plan by GW faculty and students that was developed with intensive stakeholder involvement. The Future of Cars on Campus: Parking or Perish? How will the changing world of transportation and autonomous vehicles affect our campuses? With the growing changes in transportation technologies moving at an ever increasing speed, how universities respond to future parking needs is also starting to create lingering questions in everyone’s minds. This talk will describe what’s going on today on several campuses and ask participants to share perspectives on how to plan for this fast-paced change. The purpose of this presentation is to briefly explain the rationale, methodology, and ongoing trial garden results of a research effort to develop freely recombining polycultures of native plants for metropolitan areas of North Texas. The results are narrowly focused on the North Texas region but the methodology has broad applicability to any biome. 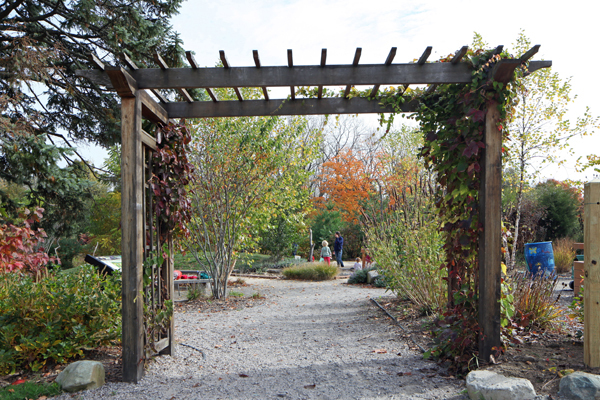 The native plant polycultures are designed to create a better balance of aesthetics, environmental services, and ecology than is possible with the discreet groupings of monocultures that are usually employed for planting designs. The contemporary interest in urban naturalistic landscapes has emerged as a response to the traditional horticultural school of urban green space design particularly for environmental and economic reasons. This is reflective of society’s emerging understanding of ecology as well as the increased need for cost effectiveness. Urban naturalistic landscapes are designed to exhibit lower water footprints, carbon footprints, lower maintenance, higher taxonomic diversity, marked visual dynamism, and support as much wildlife as possible. 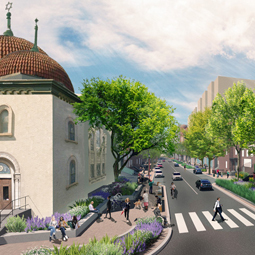 These important changes will help lead our cities toward a more sustainable future. However, designed naturalistic landscapes in urban areas often have a high rate of failure and turnover. This presentation will provide research-based design principles that help any naturalistic design gain public acceptance and ultimately, longevity. The Sustainable Design & Development PPN leadership has organized a program that encourages networking, sharing, and learning. Find out how you can influence the direction of ASLA and other landscape architects through the Sustainable Design & Development PPN, opportunities for national exposure, including content creation for The Field, and ASLA Online Learning. GBCI SITES representatives Micah Silvey and Jamie Statter, along with Linette Straus, ASLA, co-leaders of the Friday workshop SITES v2 and the SITES AP: Your Tools for Success, will answer your questions on the SITES Rating System, SITES AP credential, and registering a project. 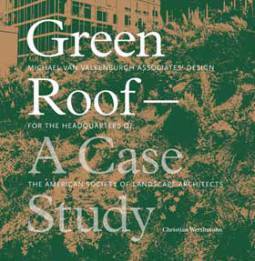 Micah Silvey, Director of Certification, US Green Building Council, who is a presenter for the Saturday education session, SAT-05 – High Performing SITES and the Soils Beneath Them, will be available after the meeting to answer your questions. Will Howard, PLA, ASLA and Jesse Buster, PLA from Stack Rock Group will talk about how they worked with Hewlett-Packard to become an early adopter of SITES and achieve SITES Gold for HP’s Boise corporate campus. Meet other landscape architects who are passionate about sustainability and resiliency and share ideas. 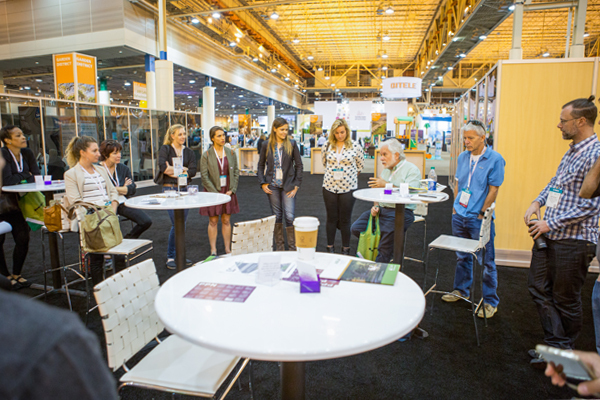 Join us in the PPN Lounge to share updates on our work, highlight your expertise, and expand your network through ASLA! Find out how you can influence the direction of ASLA and other landscape architects through the Parks & Recreation PPN, opportunities for national exposure, including content creation for The Field and ASLA Online Learning. This joint meeting takes us into new and exciting directions. 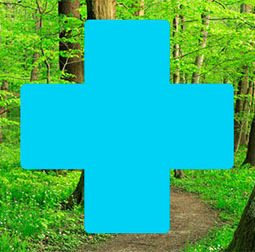 In a true spirit of collaboration, the Children’s Outdoor Environments PPN is co-hosting the meeting with the Healthcare & Therapeutic Design PPN. Two talented landscape architects will share the stage as our speakers for this event: Joanne Hiromura, ASLA, and Naomi Sachs, ASLA. Joanne Hiromura, RLA, is Director of Landscape and Outdoor Playspace Design at studioMLA Architects in Brookline, MA. Her focus and scope of practice is on designing child-centered outdoor environments at schools, childcare centers, and parks. Joanne’s long and impressive professional history includes children’s outdoor playspace product design as well as design and installation of many outdoor spaces throughout the country, including Bright Horizon’s childcare centers, the MIT Lincoln Lab Child Development Center, and Radcliffe (Harvard University) Peabody Terrace Children’s Center. Her department is expanding into larger scale projects planning for play on urban neighborhood and campus scales. 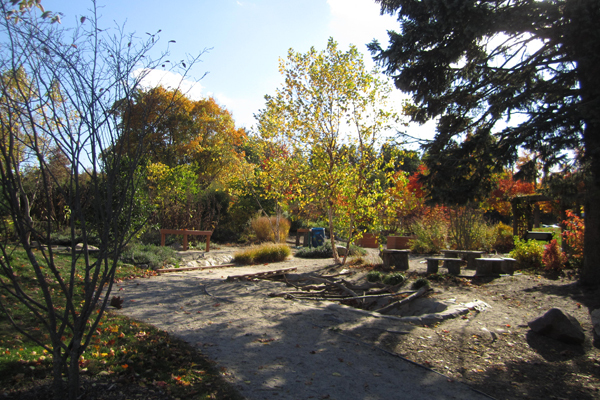 In addressing larger scale projects, and as part of studioMLA Architects ongoing collaboration with the Massachusetts Audubon Society, Joanne will be sharing with us her nearly one acre natural playspace project designed and installed at the Boston Nature Center. Designed to re-connect and encourage inner-city children with limited exposure to ‘real’ nature through an innovative, hands-on Nature Based Preschool curriculum, the playspace provides myriad opportunities to explore, be creative, to learn, to problem solve and take good risks, to socialize, and learn the important life rules of cooperation and negotiation. 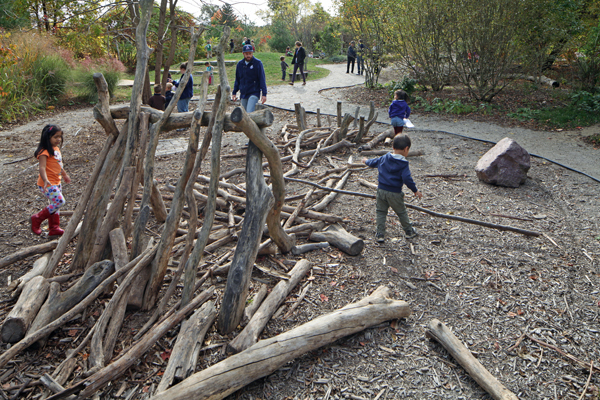 The Boston Nature Center natural playspace is just one of 30 national projects that was developed through and endorsed by the National Forum on Children and Nature. Naomi Sachs, PhD, ASLA, EDAC is a Postdoctoral Associate in the Department of Design and Environmental Analysis in the College of Human Ecology at Cornell University. Working under the direction of Dr. Mardelle Shepley, Professor in and Department Head of the Department of Design and Environmental Analysis, Naomi’s postdoctoral research includes college based nature Rx programs, therapeutic landscapes at behavioral and mental health facilities, and continuing work on an assessment tool, developed as part of her dissertation. She is co-author with Clare Cooper-Marcus of the outstanding book Therapeutic Landscapes: An Evidence-Based Approach to Designing Healing Gardens and Restorative Outdoor Spaces, published in 2013 by Wiley. Naomi is also the Founding Director of the Therapeutic Landscapes Network, an unparalleled resource for anyone seeking information about therapeutic landscapes. Naomi will be speaking with us about the results of her doctoral dissertation research. Both Joanne and Naomi have graciously agreed to stay on past the end of the meeting to address additional questions and to mingle. Please plan to join us at the PPN Live Stage on Saturday, October 21 at 1:30 pm! The Transportation PPN Leadership Team will share updates on our work and highlight opportunities for you to share your expertise and expand your network through ASLA. In addition, Roxanne Blackwell, ASLA’s Director of Federal Government Affairs, will present the latest news on federal transportation legislation and advocacy and Wendy Miller, FASLA, Vice President of Professional Practice, will share updates from ASLA’s Autonomous Vehicles and Planning Subcommittee. Women in Landscape Architecture (WILA) events for this year’s meeting include an exercise in creating your own professional practice Mission Statement at the WILA PPN Meeting. We’ll use our meeting time to focus on and share what we love about our individual landscape architecture journeys. Plus, don’t miss the WILA Walk on Monday, October 23, organized and led by the ASLA Southern California Chapter! 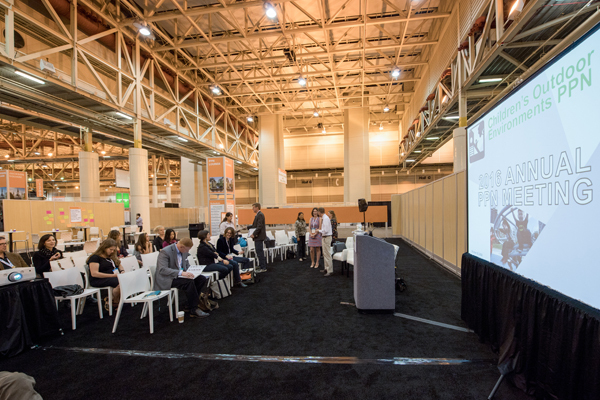 Join us in the PPN Lounge to share updates on our work, highlight your expertise, and expand your network through ASLA! Find out how you can influence the direction of ASLA and other landscape architects through the Housing & Community Design PPN, opportunities for national exposure, including content creation for The Field and ASLA Online Learning. 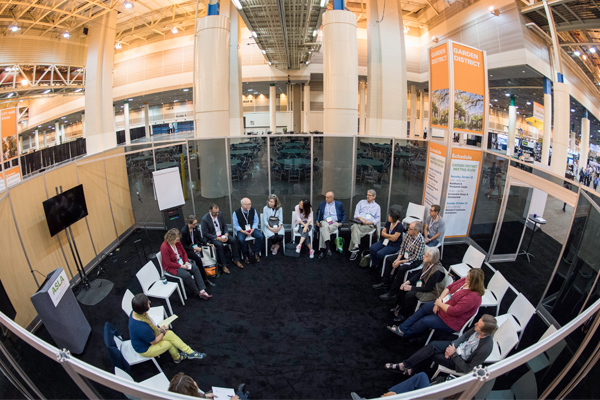 Join us in the PPN Lounge to share updates on our work, highlight your expertise, and expand your network through ASLA! Find out how you can influence the direction of ASLA and other landscape architects through the Landscape—Land Use Planning PPN, opportunities for national exposure, including content creation for The Field and ASLA Online Learning. The world has become increasingly globalized in nature rather than being centered in North America. Whether it’s a global challenge, or a localized solution, we invite you to participate, learn, and contribute to a better environment without borders. 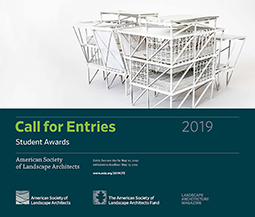 The ASLA Annual Meeting offers rare opportunities for us to meet to share our knowledge and make valuable connections – between experienced and emerging professionals as well as students. These connections may lead to friendships and future collaboration. Let’s meet up in Los Angeles! The International Practice PPN leadership has organized a program that encourages networking, sharing, and learning. 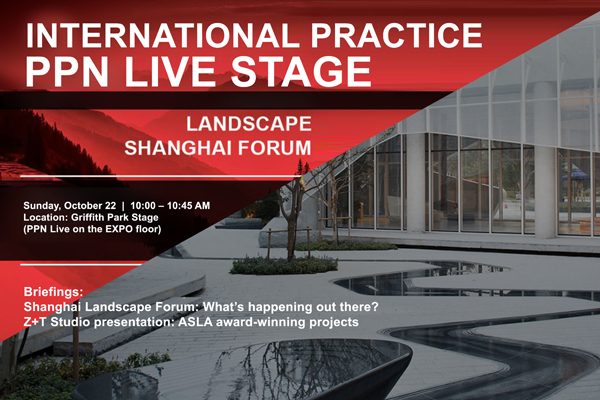 Shanghai Landscape Forum: What’s happening out there? Joining us will be incoming ASLA Vice President of Education Lake Douglas, FASLA, to discuss his thoughts on the collaboration between Education and Practice and a brief discussion by John Anderson, ASLA, a seasoned practitioner now venturing into a second career in higher education. Please stop by and contribute to the discussion. Common Ground . 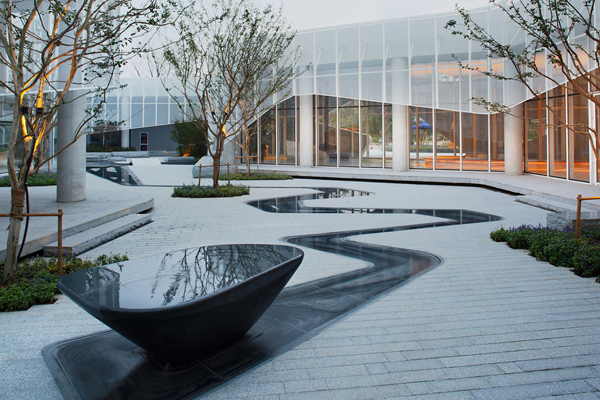 . . is a theme that is likely very familiar to those of us who typically think of culture as key part of design and landscape architecture. Please join HP PPN members in Los Angeles to share ideas, challenges, and successes on Sunday October 22, 12:45 to 1:30 pm at the Historic Preservation PPN Meeting. 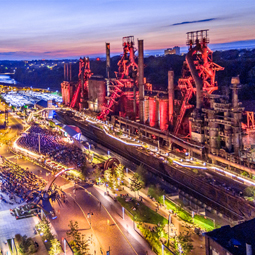 This will be a wonderful opportunity for those of us with interests and practices in cultural landscapes and historic preservation to connect, hear of our PPN’s recent accomplishments, and for you to share yours. The focus of our meeting this year will be to discuss our Online Learning webinar series, hear of our colleague’ successes, and have HP PPN members briefly share a key accomplishment. Come prepared with a brief note on your work, and to learn of other members. The Historic American Landscapes Survey (HALS) Subcommittee of the Historic Preservation PPN will also be meeting on Saturday, October 21, 6:00 – 7:00 pm in the Los Angeles Convention Center. 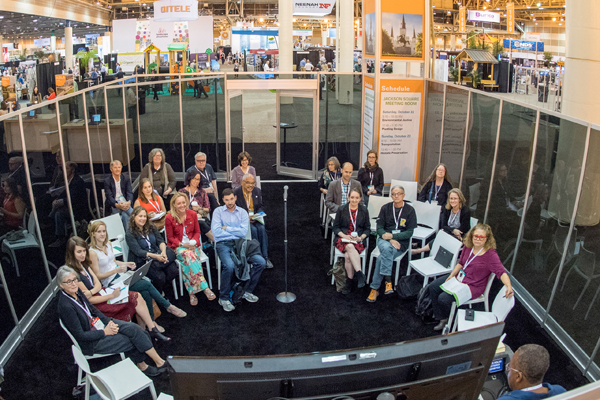 Join us in the PPN Lounge to share updates on our work, highlight your expertise, and expand your network through ASLA! Find out how you can influence the direction of ASLA and other landscape architects through the Design-Build PPN, opportunities for national exposure, including content creation for The Field and ASLA Online Learning. 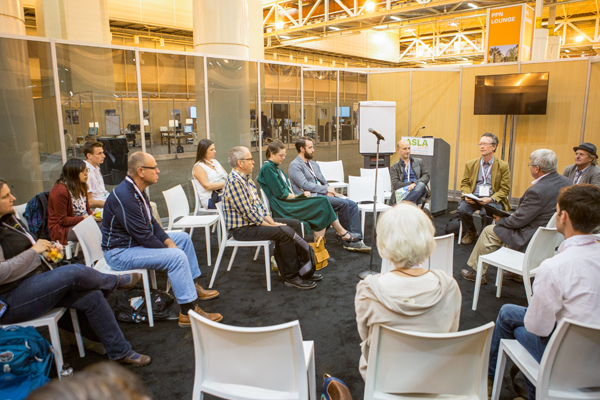 Join us in the PPN Lounge to share updates on our work, highlight your expertise, and expand your network through ASLA! Find out how you can influence the direction of ASLA and other landscape architects through the Residential Landscape Architecture PPN, opportunities for national exposure, including content creation for The Field and ASLA Online Learning. Steve Bauer, PPN Co-Chair, will be highlighting the recent Residential Landscape Architecture PPN survey results, including the important issues and exciting trends that were shared by our PPN members. Hear how fellow members are utilizing 3D technology in their practice, managing client/contractor communications, and delivering successful residential design projects. Please stop by and contribute to the discussion! Keith Billick, PPN Chair, will be highlighting the recent Urban Design PPN survey results and the important elements of successful urban spaces. Peter Salamon, Associate ASLA, will showcase his urban design master’s thesis, ‘Dredge Neutral,’ which devised a dredge-based master plan for Savannah, GA, at an unprecedented city scale, focused on sustainable, indefinite silt dispersion for a ‘Dredge Neutral’ city. 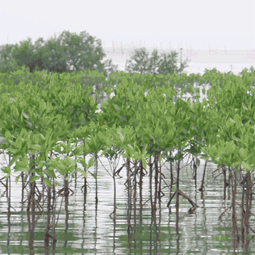 Landscape architects are at the forefront of designing beneficial reuse strategies, yielding solutions that restore habitat and account for sea level rise. Ken McCown, ASLA, will be presenting ‘City Square – Power Strip,’ a vision for Downtown Las Vegas to establish a civic space and pedestrian spine as the symbolic and functional heart of metropolitan Las Vegas. This project is a demonstration of how methods of planning, architecture, and landscape architecture may link to create place-based visions that integrate the many needs of downtowns to function as the symbolic and functioning heart of their metropolitan areas. Keep an eye on The Field as we continue to highlight ASLA Annual Meeting and EXPO events through next week and the start of the meeting on October 20. We look forward to seeing you in Los Angeles!